Sorita’s incredible story started in 2016 when she first heard about the Voices of Youth (VOY) programme and decided to apply. Sorita discussing with the trainees during a Voices of Youth session. As part of the Voices of Youth programme, Sorita wrote 12 blog articles in 3 months, on a vast array of issues related to youth and society. Among her articles, she expressed her thoughts on topics such as self-esteem, climate change, politics, love and hate. 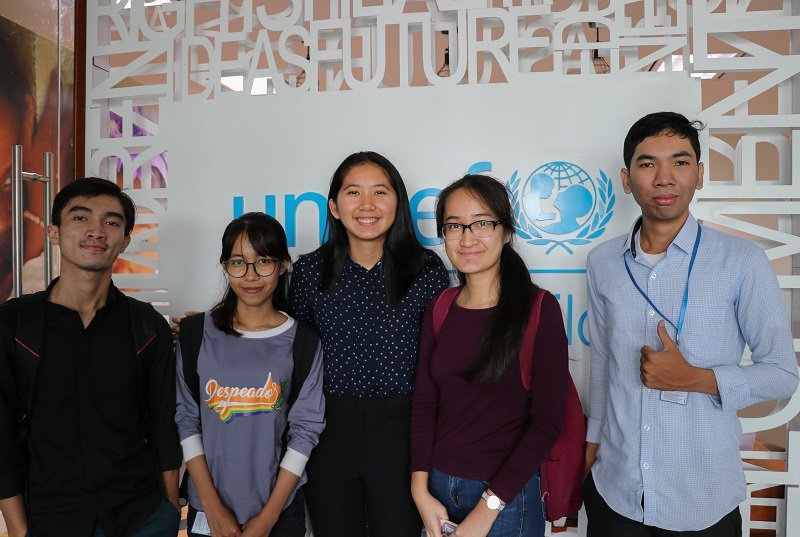 “I was also able to read the articles of the Voices of Youth trainees from other countries and to discuss with them, which made me understand their opinions on issues I had never thought of before”, Sorita explained. 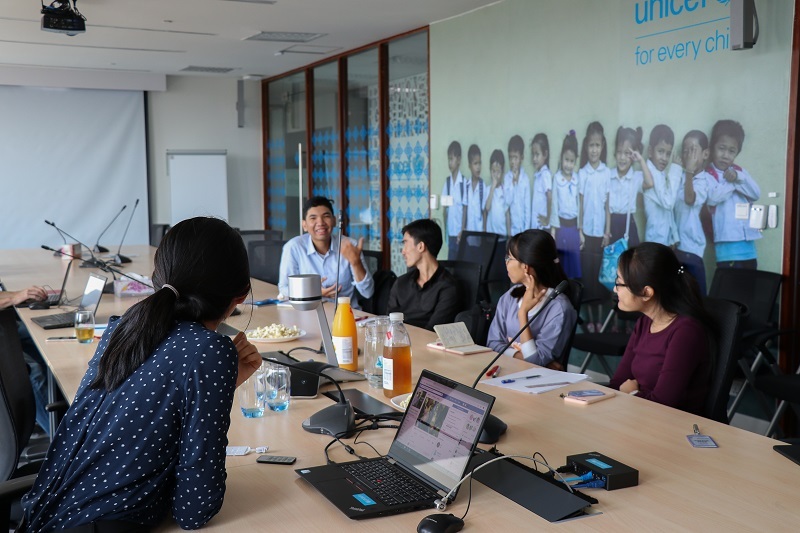 For 3 months, the young Cambodians are trained in blogging as well as in other critical skills like communication, online-safety, self-expression and team work. “My Voices of Youth experience made me more confident in writing and in expressing my views. I became more aware of how to express my ideas and views clearly through writing. I also became more courageous in expressing myself. The programme made me take a closer look at some social issues that I was never concerned about before”, said Sorita. “It also made me understand the importance of constructive feedback from my VOY trainer who I am now trying to imitate in my role as a trainer today,” she added. After successfully completing her Voices of Youth training, Sorita had the opportunity to join the communication team of UNICEF Cambodia as an intern for 2 months and a half. Among her missions, she supervised the Voices of Youth training sessions of 2017. The following year, thanks to her extensive knowledge on the Voices of Youth programme, Sorita was selected as a blogging trainer. Sorita and three trainees during a Voices of Youth session. “I think the most important thing is to trust that we have something worthwhile to say, whether it is our experience, ideas or opinion. Blogging is a great way to share our understanding with others and learn about others. 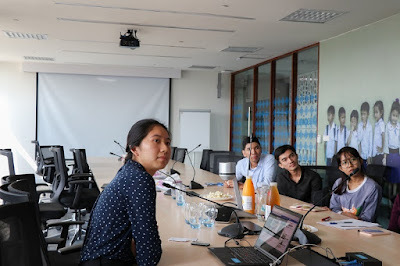 So, we should take advantage of opportunities to enhance relationships with other participants and try to be open-minded to understand their perceptions”, said Sorita. “If I hadn’t been a Voices of Youth trainee, I think my life would have been different because I probably wouldn’t have gotten the same opportunities. This experience has also helped me as a journalist. Now I have articles to show to employers in the media sector”, she continued. Sorita recently graduated with a Bachelor’s degree in Media Management from the Royal University of Phnom Penh and she would like to pursue a Master’s degree in the future. Would you like to know more about Voices of Youth? Check out our blog for more information about the programme.